It took me all of four seconds to decide what ingredient/topic to cover for my round-up post for the month of April. 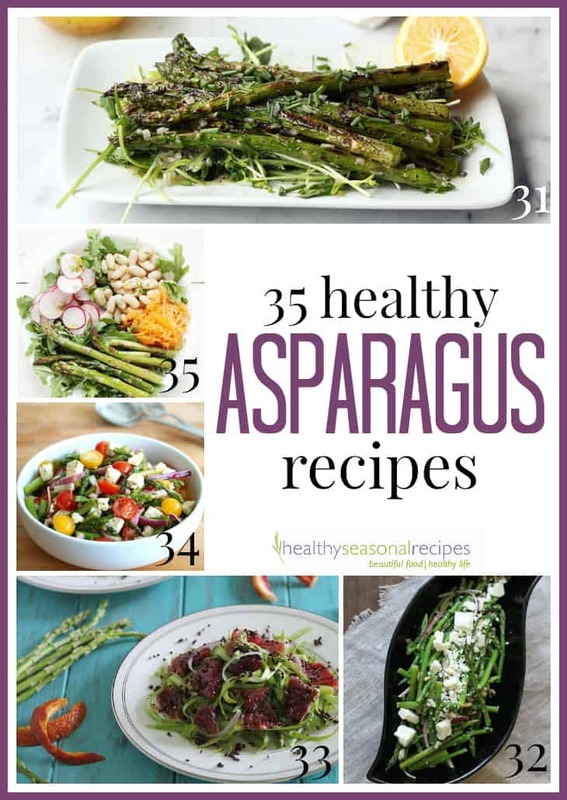 I knew it had to be healthy ASPARAGUS recipes of course! Asparagus is the harbinger of spring the universe over. 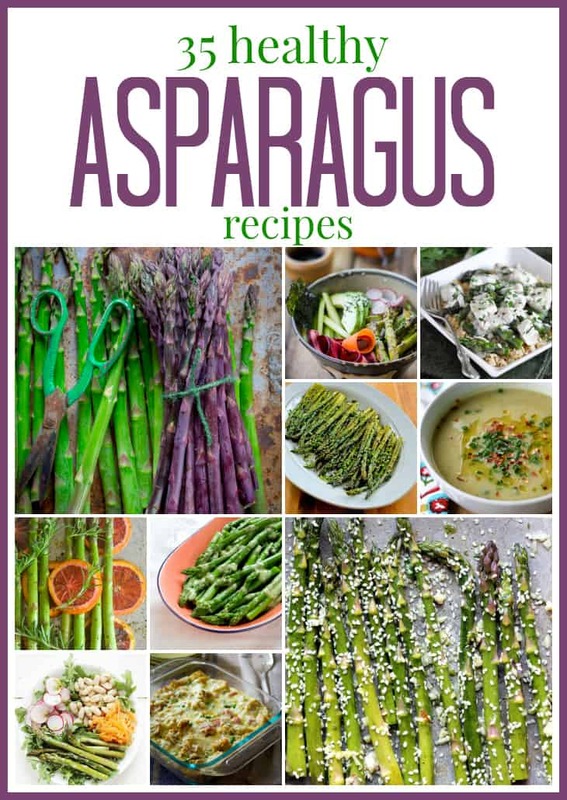 So without a doubt, for a seasonal recipe website, I have no choice but to cover asparagus. Not that I mind! I love asparagus 🙂 I have a few of my own recipes in here and then loads more from my friends for a total of 35 inspired ideas. I have divided up the recipes into categories so it is easier for you to scan them. 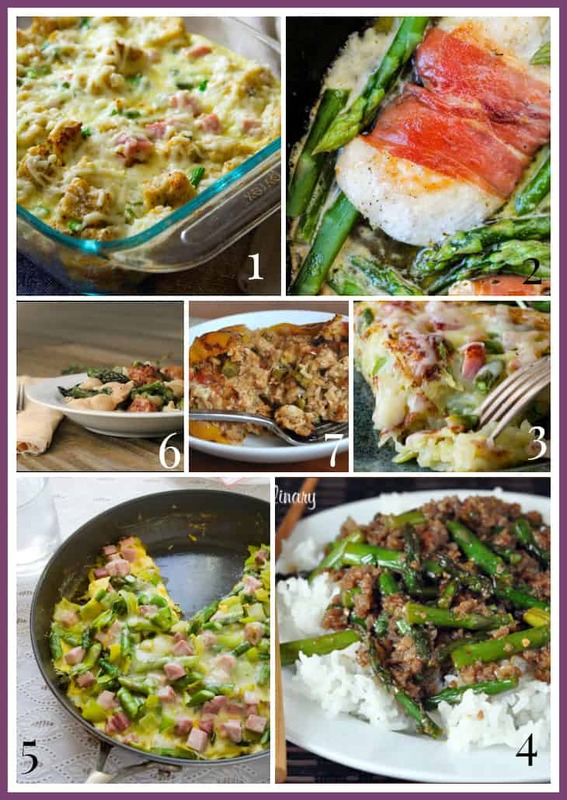 First I have main course asparagus recipes with chicken, beef and pork. 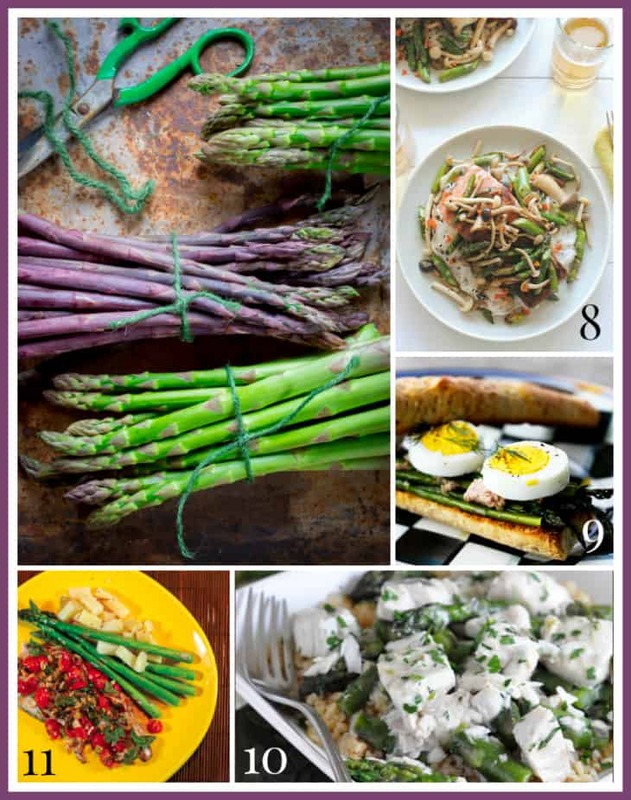 Then I found a few yummy healthy fish and asparagus recipes. Up next are the Vegetarian Main Courses with Asparagus. Of course I had to include asparagus side dishes. And then there are soups and salads to round the round-up up. Please be sure to pin, share and tweet! 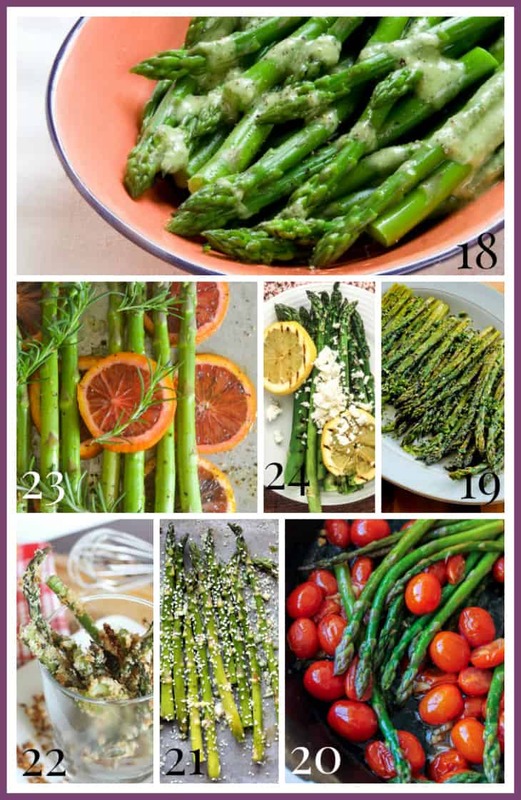 And then scroll down and let me know what your favorite way to enjoy asparagus is. Need more inspiration? How about some more Round- Up Posts! 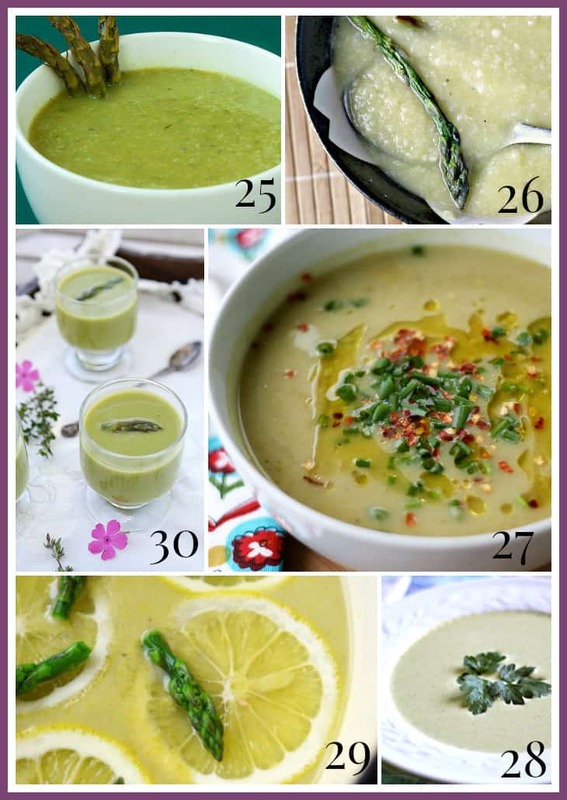 Or click on the image below for the healthy spring recipe collection. Thank you Sue, and I love your two recipes. They look amazing! So glad you came by to see the post. OMG I want all of these. 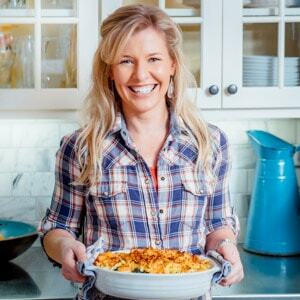 What a beautiful round-up, Katie – thank you for including my sushi bowls! Well, booyah — thanks for including my soup! An excellent roundup with so many great ideas. You are so welcome Ninj 😉 Hugs lady! Aww thank you Ilona. I appreciate your reading and leaving a comment. Gorgeous roundup! I need to find some purple asparagus now! Thanks so much Samantha. I almost fell over when I saw that purple asparagus. It jumped into my shopping cart! Thank you Kimberly. I love the look of your salad. You take beautiful photos too. Katie this is the BEST ROUND UP EVER! asparagus is king. Thanks so much for featuring my Prosciutto Wrapped Chicken as well as the Asparagus and Cherry Tomatoes! I think the first one I will try from this list is your tarragon vinaigrette!! I love tarragon with asparagus. Yum. You must have spent so long on this! Great post Katie, it looks fabulous! Karen, Thank you so much. I am blushing from your compliments. 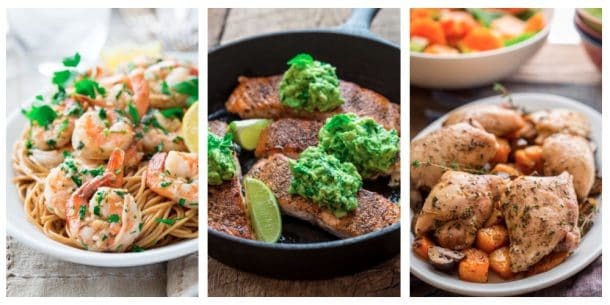 I seriously question my sanity every time I do one of these, but making the collages and finding the recipes is strangely addicting. Lol!! I was thrilled to discover your two beautiful recipes. The chicken dish is top on my list! Must try it! Mmmm I want to eat ALL the asparagus! Aw shucks. I don’t know about being the best… Thank you so much and for pinning!! OOoooooh, what a GREAT round-up, Katie! Thanks for including my roasted asparagus, tuna, hard boiled egg sandwiches! Pinning for sure! Thanks Gina I love your shaved asparagus salad. Local asparagus isn’t ready here in Vermont yet. But I will be ready with these recipes when the time comes. I love hearing what you’ve been making Terry! That sounds great,I need to find some purple asparagus now! yum Katie, one sounds better than the next!! 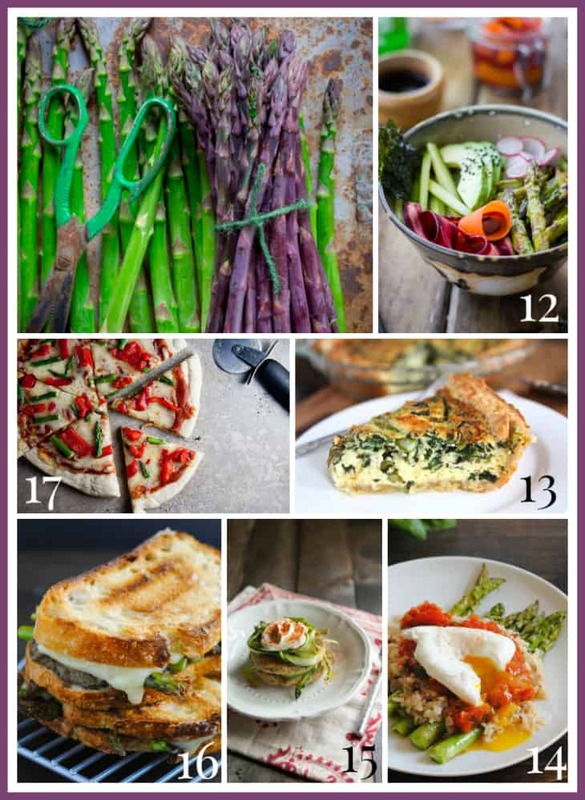 and 100% pinned your ham & asparagus fritatta, that sounds amazing! I am so ready for local asparagus now too. Thanks for pinning Christine!